Following a serious head-down period of teaching and academic wrestling I’m coming up for air. A position working as music development officer with Aboriginal musicians in Wingellina, W.A., presented itself too. However I’ve decided to keep things simple and stick to my family focused lifestyle. Mind awareness is what I want to develop at the moment and I don’t want too many new things in the way of this learning. On top of this I need to stay with my commitment to get new music recorded by christmas. Iris is getting her artwork ready for entry into the Picton show. 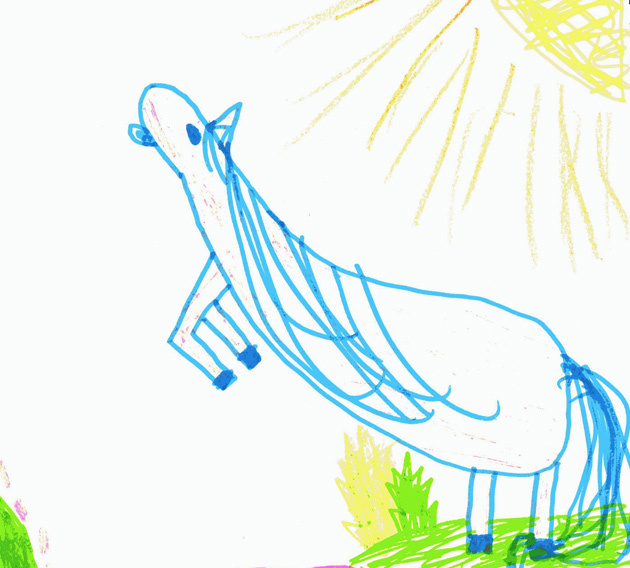 Here is a vibrant horse image that she has been developing for a while.